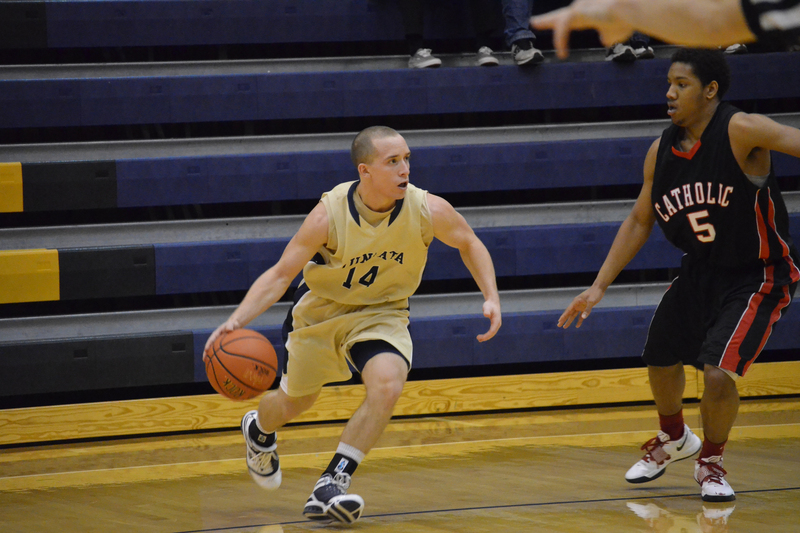 “All of my top learning experiences outside of the classroom came from my basketball experiences at Juniata. Coach Curley not only taught us basketball but also many lessons that were applicable way beyond the sports arena. My teammates and I struggled through tough times together to make it out as better athletes and better people.” Alex Raymond ’13, who is currently enrolled at the Philadelphia College of Osteopathic Medicine in Philadelphia, Pa.
“One of my top learning experiences was losing in the final game of the National Championship.” Paul Kuhn ’15, Juniata volleyball player, now a systems analyst with UPMC in Pittsburgh, Pa.
“Sarah combines her talent with an attitude that allows for success and failure to be part of a single path. I could not be prouder of all she has accomplished and where she is headed in life.” Caroline Gillich, field hockey coach, speaking about Sarah Bilheimer ’16, who is completing her Master of Accounting degree at Juniata. On the left we have Paul Kuhn ’15 and his parents who came to visit before a game. 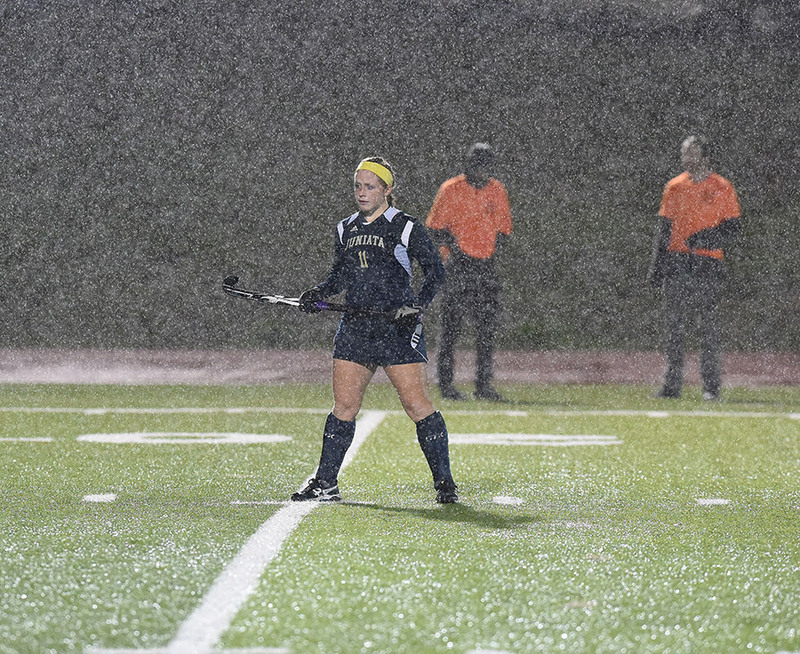 On the right, Sarah Bilheimer ’16 excels on the field as well as off the field. During their time at Juniata, both Paul and Sarah joined 133 other Juniata Eagles who were named All-Americans. 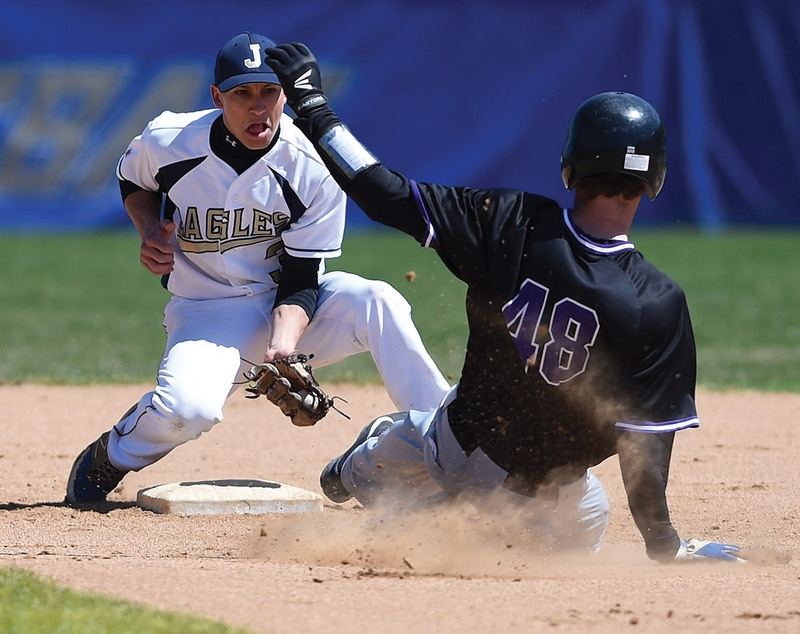 Concentrating on the task at hand, Chris Schreder ’18 prepares to tag an incoming runner. 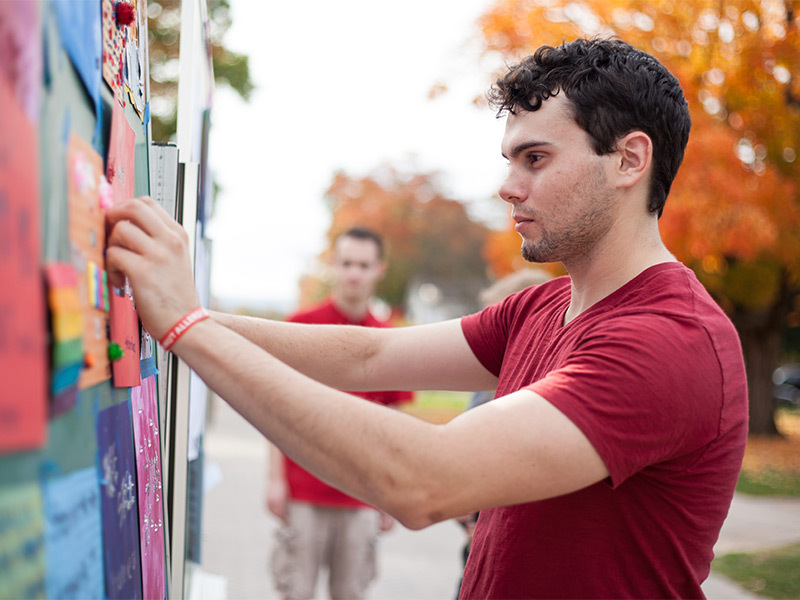 “Juniata was so diverse and cultured…it taught me how to be more accepting of people who are different from myself. 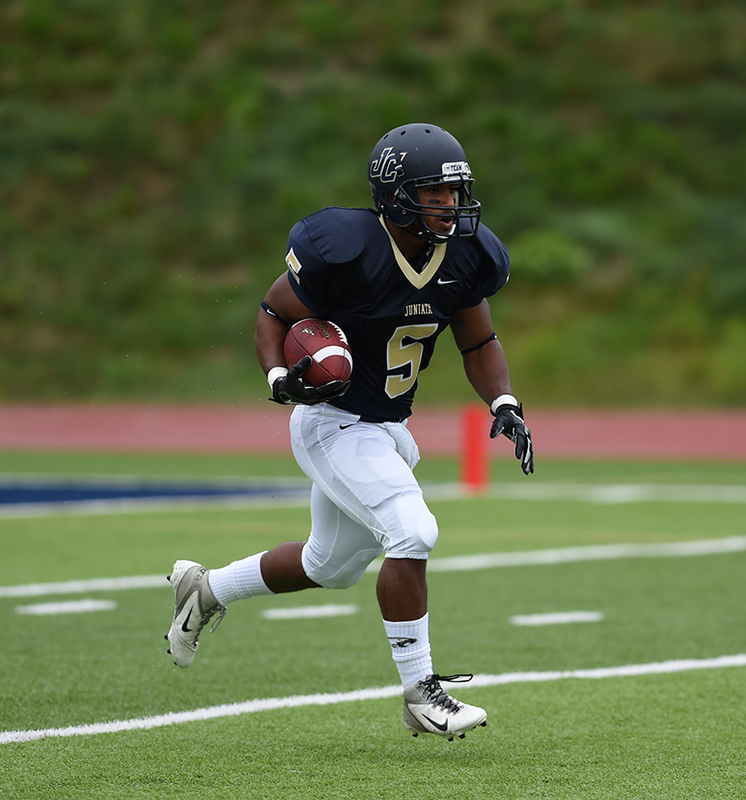 It also taught me that it is more than okay to stand out in the crowd and to seize every opportunity that is thrown your way.” Isaiah Slutter ’15, former Juniata football player, now employed as an analyst at the Pennsylvania Department of Community and Economic Development in Harrisburg, Pa.
Juniata College has captured 57 conference championships during its history as a member of the Middle Atlantic States Collegiate Athletic Conferences (MASCAC/MAC), the Commonwealth Conference, the Landmark Conference, and the Continental Volleyball Conference. 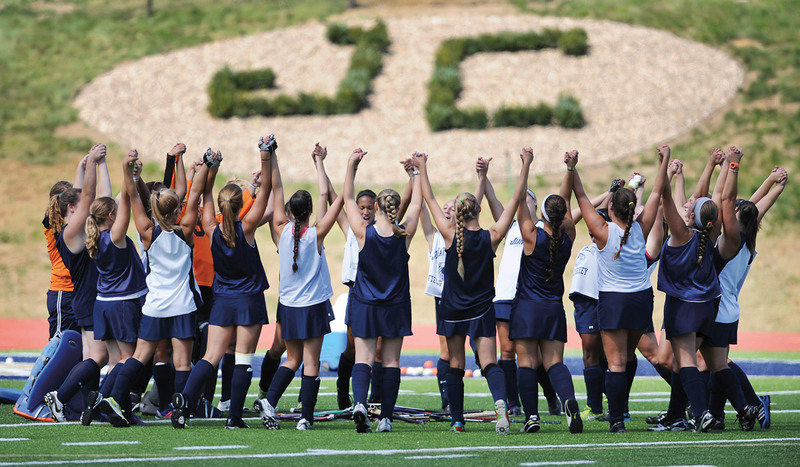 Juniata College has achieved eight national championships. 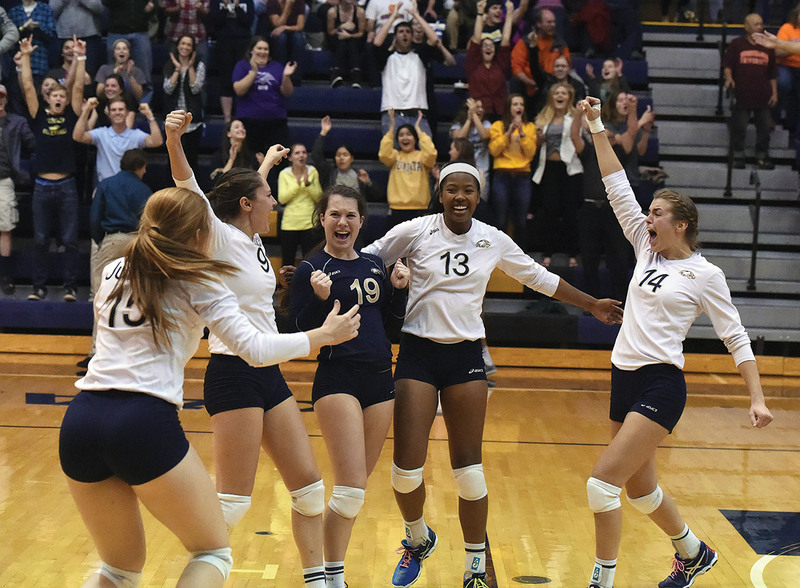 Two are NCAA Division III championships, earned by Juniata’s women’s volleyball teams in 2004 and 2006. Six are Molten men’s volleyball championships, earned by winning the post-season invitational for the top Division III programs in the nation. 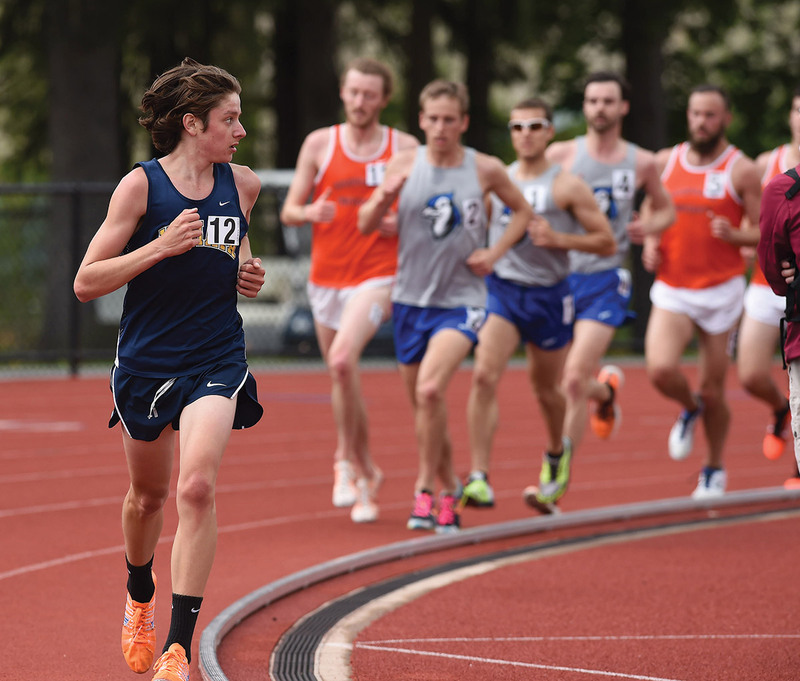 Scholar athletes who participate in Juniata intercollegiate athletics programs enter a highly competitive arena within which they grow not only as athletes but also as members of the Juniata community. Always seeking to recruit athletes from diverse backgrounds, the College has captured 57 conference championships during its history as a member of the Middle Atlantic States Collegiate Athletic Conferences, the Commonwealth Conference, the Landmark Conference, and the Continental Volleyball Conference. 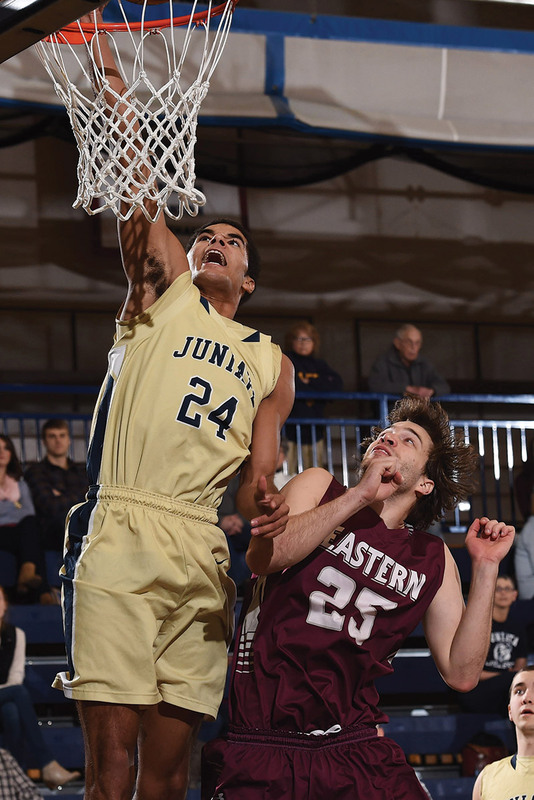 The mission of Juniata intercollegiate athletics is inextricably linked with the educational mission of the College. 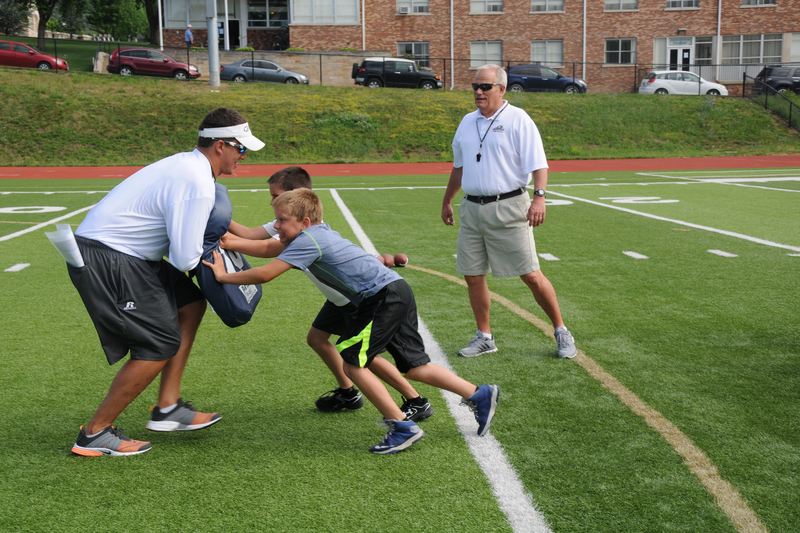 Coaches prepare team members for high-level play while also serving as academic advisers and partners—sharing life lessons, helping students overcome challenges, encouraging study and diligence, and enjoying team camaraderie. 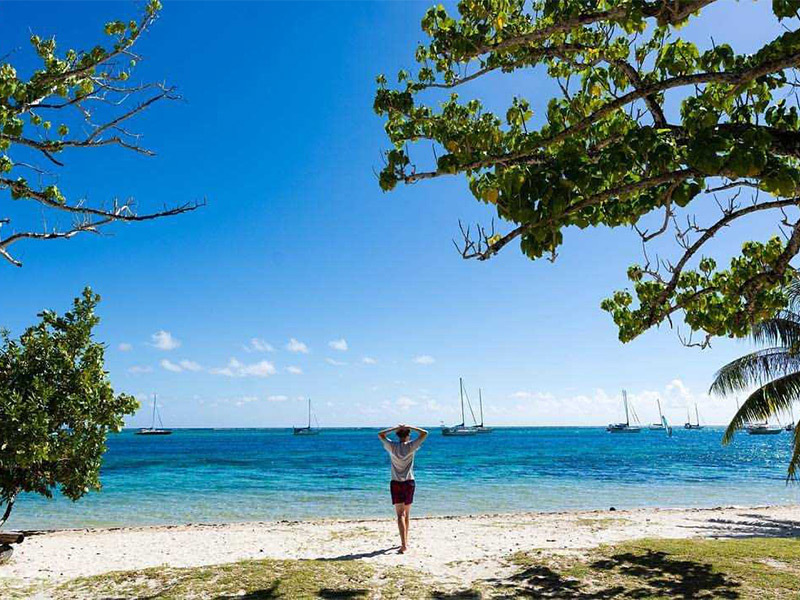 Health and wellness. Academic achievement. 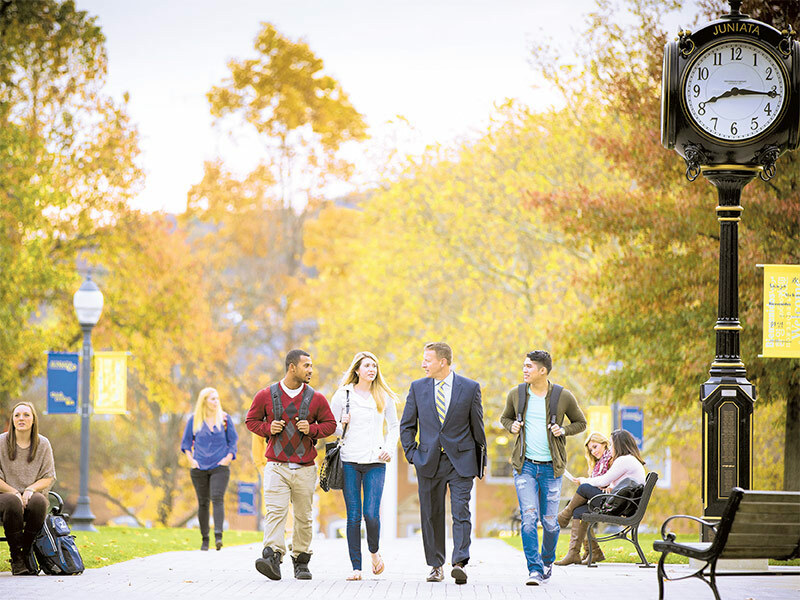 The imperative to participate fully in the Juniata experience. Having fun. 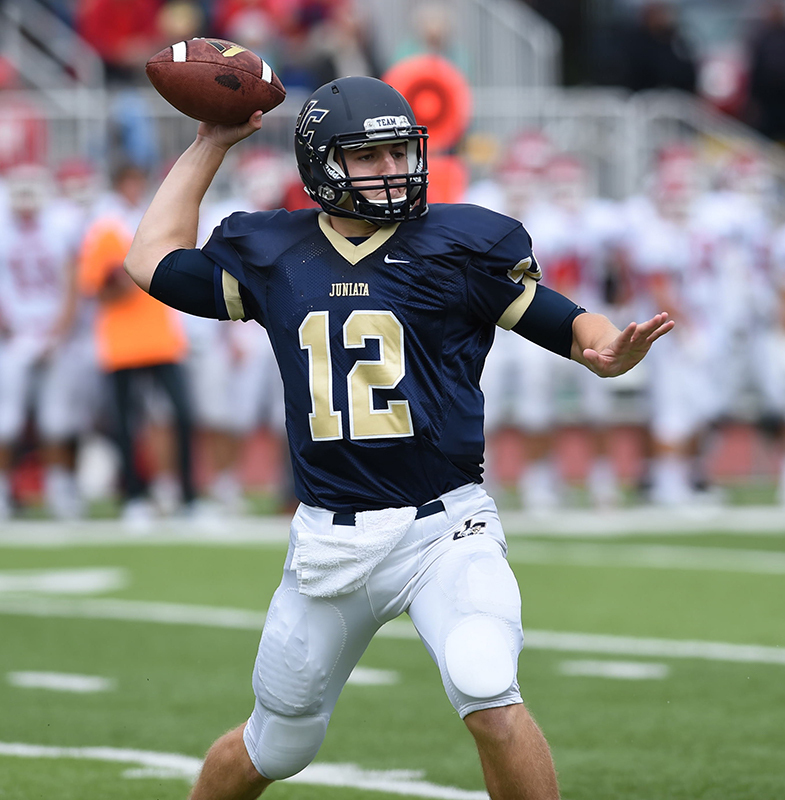 These are priorities of the Juniata athletics program, where Eagles soar! 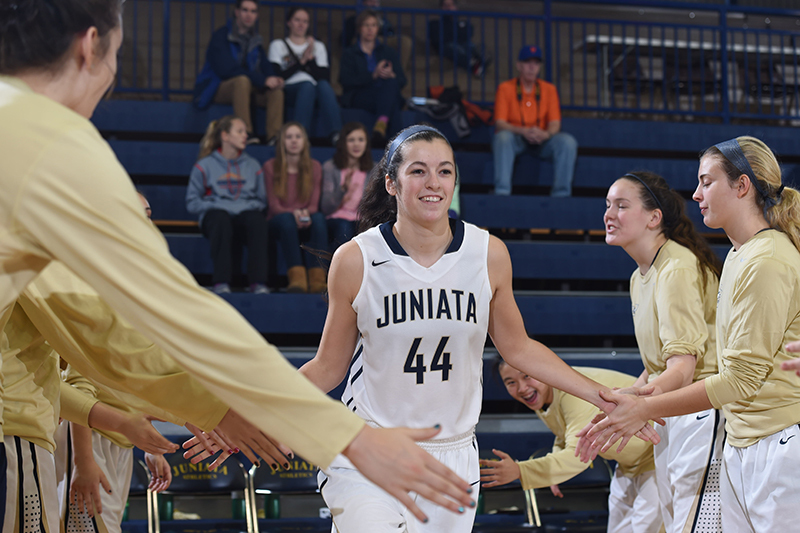 As a Juniata student-athlete, you will engage your brain and your heart—as well as your strength, agility, and athletic prowess—as you continue to write the story of you. Interested in collegiate athletics? Join the conversation on our Facebook, Twitter, Instagram, or view us on YouTube.